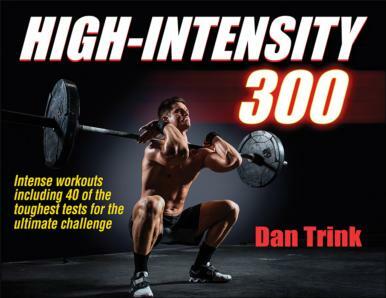 Taken from High-Intensity 300 by Dan Trink. This workout includes an exercise called the Pendlay Row (named after Olympic lifting coach Glenn Pendlay), which is a modified version of the bentover barbell row that requires you to bring your torso parallel to the ground and perform each row off the floor. This version eliminates much of the cheating that occurs with standard bentover rows (people tend to stand more and more upright as the weight gets challenging). 1) Begin with a loaded barbell on the floor, Bend forward at the hips so that your torso is parallel to the ground, knees slightly bent. Grab the bar slightly wider than you would for a traditional bentover row. 2) Maintaining this posture, explosively row the barbell to your upper abs/lower chest. 3) Return the barbell to the floor and repeat for the required reps. Perform the following CIRCUIT for as many rounds as possible in 12 minutes. Note that you are increasing the reps by 1 rep per set for the Push Press, 2 reps per set for the Pendlay Row, and 3 reps per set for the Prisoner Squat. Rest as needed, but keep in mind that THE GOAL IS TO GET AS MANY REPS AS POSSIBLE IN THE 12 MINUTES. Easy Option: Perform as many reps as possible for 8 minutes. Step It Up: Perform as many reps as possible for 15 minutes.